Self-Directed Learning is the opposite of standardization. The Birch School has its roots in our many years of work with children in a variety of settings. We are informed by current research into the new paradigm of 21st Century learning and collaboration. Founded by Kate Fox and Ed Helbig, and a supportive team of gifted and enthusiastic educators, The Birch School is the result of many years of experience working with children in “out-of-school” environments such as summer camps, afterschool programs, and homeschool classes. 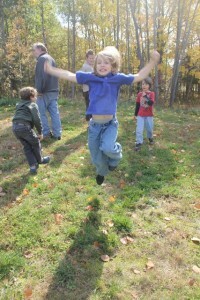 For nearly twenty years we have created a unique and compelling environment for children at Free Spirit Nature Camp, the summer daycamp that we own and direct. The camp continues to offer exciting learning opportunities for children each summer. We have observed the process of true discovery that develops when a learner is interested and curious about what they are doing. We have seen the mastery of skills that occurs when children are genuinely engaged in activities. We have often discussed what this might look like in a year-long program. In the fall of 2007 we created Watershed Learning Center to offer our special style of children’s programming year round. The Watershed Learning Center started as a half day preschool for young children. The program occupied three rooms in our centuries old farmhouse. Proximity to fields, creek, pond and forest enabled us to learn outdoors constantly. We also focused on hand-on activities, and a curriculum designed around “centers”. We offered the students choices about which centers to visit. We designed ways to manage each student’s learning, challenging and supplementing skills where needed. As our students moved through the earliest elementary levels we saw how successful this style of classroom design could be in practice. Our children’s parents also saw how their children were happy, thriving, and excelling in academic and creative pursuits. Supported by enthusiastic families, our program grew as the children grew. By 2009 we were offering a full day school program for a small group of elementary students, some full time and some part time. We provided assistance to families as they completed their homeschool reporting and paperwork, and we created social opportunities and field trips. 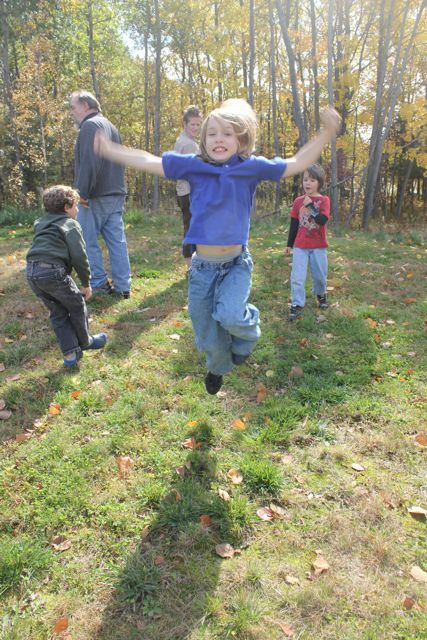 In 2009 our program began to offer single-day homeschool nature program at the 160 acre Keziahlain farm, as we expanded our program beyond our home classrooms. In 2010 Watershed Learning Center offered programs at the Interactive Museum in Middletown. Also in 2010, Kate completed the MA program at NYU in Environmental Conservation Education. Kate’s research focused on teaching methods to help students explore complex ideas such as systems thinking. Students who collaborated on real-world work, using modeling and simulation, and who participated in outdoor experiences of discovery were successful in developing complex thinking and problem solving skills. This continuing research into effective, science-based teaching methods informs our work with the Birch School. As we enter the world of the 21st century we feel it is important to re-think the way our children learn. We offer learning opportunities for students that are designed by and for them individually, and engage them in their learning plans and projects with authentic and intrinsic interest. We ask our students to freely agree to their quarterly learning goals, and rely on students to help identify subject matter, methods, and tools that interest them. Our professional staff stay informed about trends and research in “Self-directed learning” so that we are able to offer students the most up-to-date options for reaching their goals. Please explore the website and take a few minutes to look at the resources and inspiration pages. Those pages contain links to some of the people who are visioning learning environments such as the one we are creating. Now celebrating more than 5 years at our location in Rock Tavern. Since our founding in the 2012-2013 academic year we have grown into a strong learning community with deepening roots. With great excitement we welcome you to Watershed Learning Center’s the Birch School.